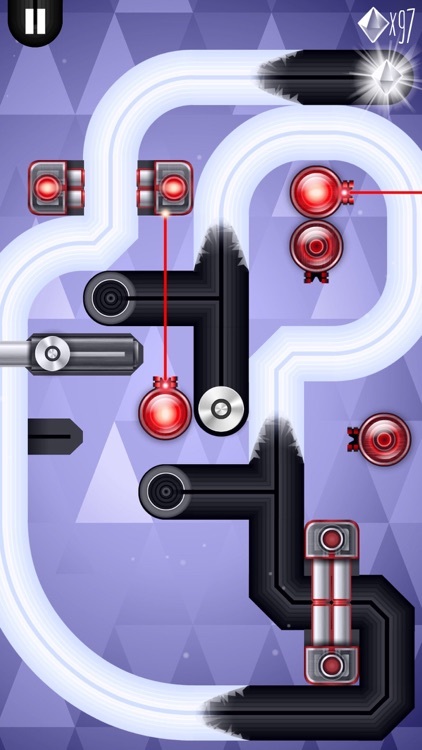 Mines, lasers, and pistons are all that stands in your way in this challenging puzzler. 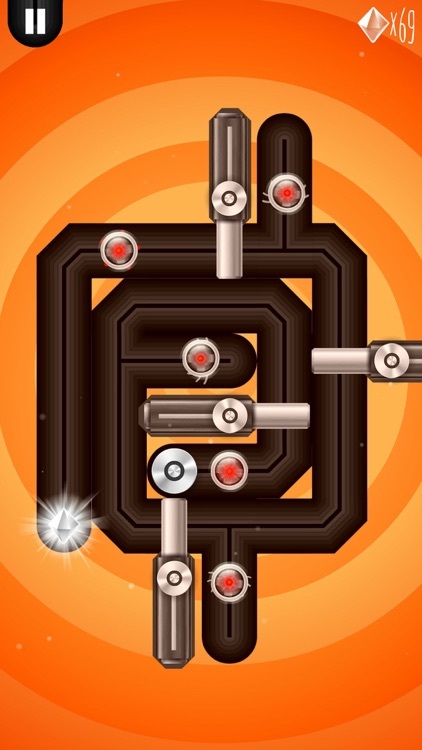 With 100 challenging levels, Hyper Slider is a puzzle game full of dangerous obstacles. Strive to collect the crystal in each level and make sure to plan your moves. Reach the crystal. Your goal in each level is to make it through the path to the crystal. 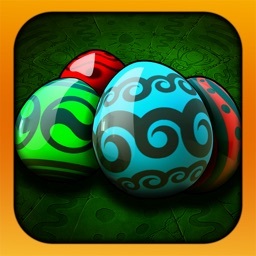 You will need to collect as many crystals as you can to move on and unlock other areas of the game. 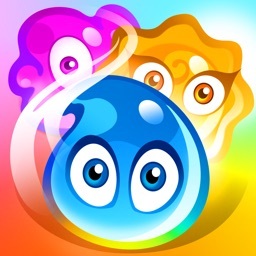 There are 100 levels in all, divided into four separate areas. Time your moves. 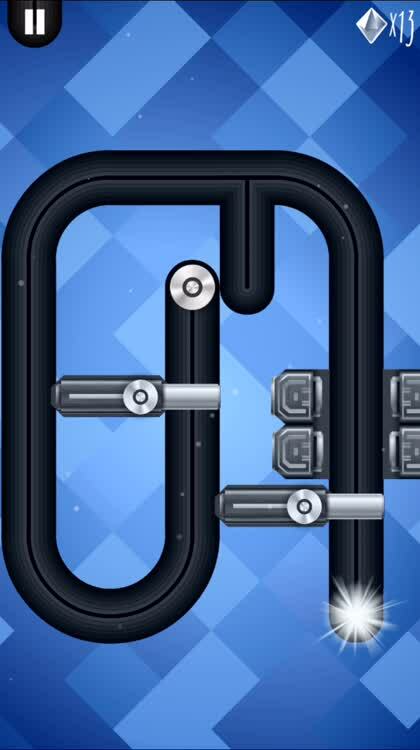 When there are no buttons to tap or levers to slide, you may just have to make it through to the puzzle with good planning. Just know that it is not impossible to do, although it is definitely not easy either. Watch out for obstacles. 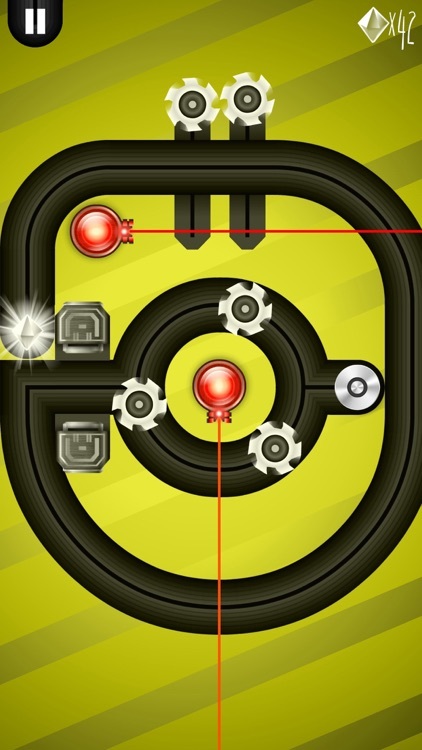 Along with excellent timing skills, you need to be cautious of the ever-changing obstacles that pop up through the levels. Some are simple and can be removed by sliding a lever, while others are extremely tricky and require planning before you move. Hyper Slider is definitely what the name suggests. 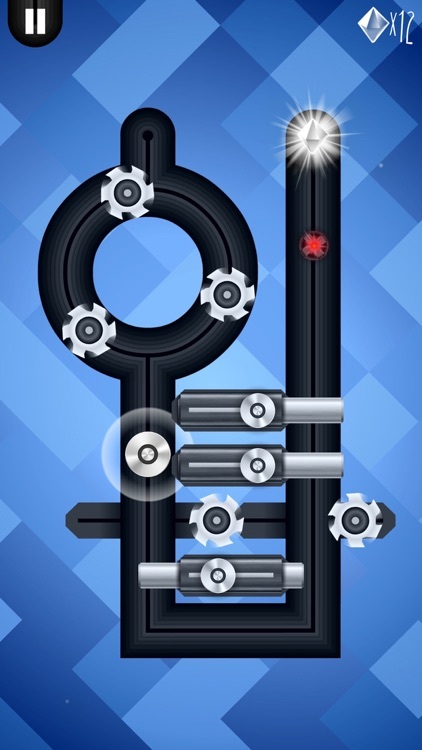 The game has shiny, mechanical puzzles, fast-paced music, and an overall energetic feel. While you are tempted to move very swiftly, you have to be extremely cautious when doing so. How quickly can move through tight pistons, dangerous lasers, and exploding mines? 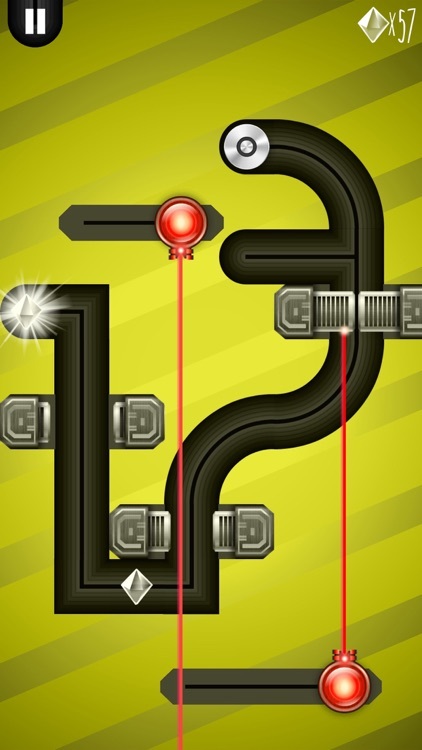 In Hyper Slider the deadly obstacles are at every turn. 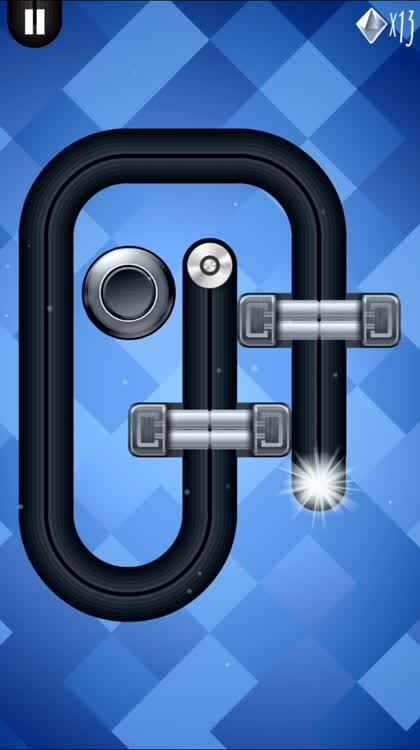 You will need to slide levers, tap buttons, and plan your moves extremely carefully to survive the 100 challenging puzzles. 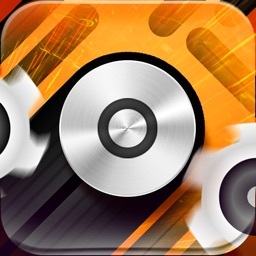 Hyper Slider is a minimal tactile puzzle game where everything could become a friend or a foe. 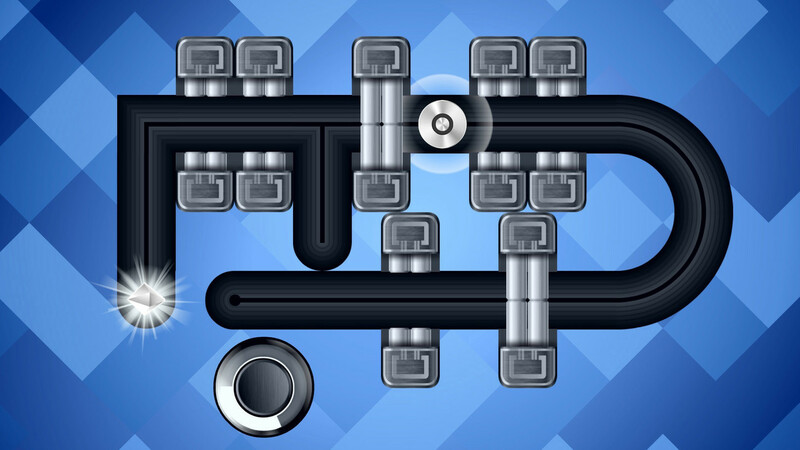 Every new area of the game contains new twists and dangerous elements to overcome. 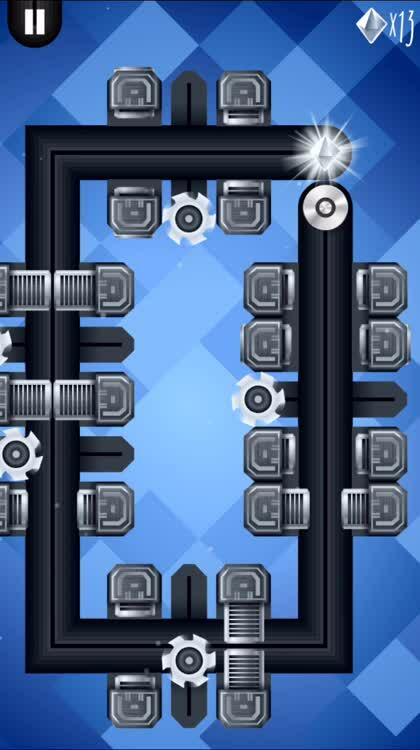 Slide through 100 exciting Levels, divided into 4 areas, with on-going new elements, from pistons to lasers, flying and crawling machines, ice, mines and other super deadly elements. 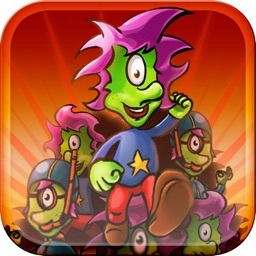 A "Survival" level for each area With a leader-board, so you can compete with your friends an beat their high scores! The whole experience set to a mystical musical score composed by Emanuel Malin. 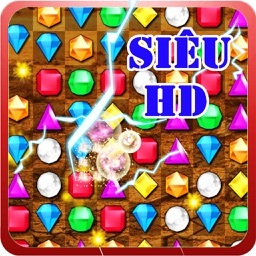 -Collecting Crystals help you to open new areas of the game which contain new twists and new dangerous element to face. 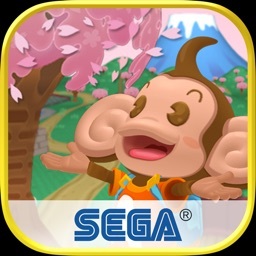 -No in App Purchase or any extra complications to worry about, go and play !